Affirm Press has sold rights to Christian White’s forthcoming The Nowhere Child, previously called Decay Theory, into nine overseas territories. As previously reported by Books+Publishing, Affirm acquired the rights to White’s novel, which tells the story of a Melbourne woman who gets caught up in the investigation of a decades-old kidnapping in Kentucky, just prior to it being announced as the winner of the 2017 Victorian Premier’s Literary Award for an unpublished manuscript. The nine territories to publish The Nowhere Child are the United Kingdom (HarperCollins), the US (St Martin’s Press), Holland (Bruna), Germany (Goldmann), France (Denoel), Italy (Teseo), Denmark (Rosinante), Poland (Czarna Owca) and Israel (Korim Publishing House). The sales were facilitated by New York City-based agent Linda Kaplan. As previously reported by Books+Publishing, Affirm signed a deal in 2016 for Kaplan to exclusively sell rights to its titles internationally. 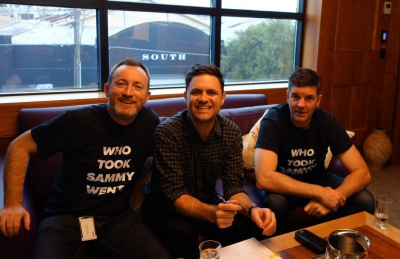 Affirm publishing director and CEO Martin Hughes said ‘As pleased as we were to acquire The Nowhere Child, the highlight has been working with Christian White’. ‘His talent is matched by his character; we can’t wait to introduce him to Australian book lovers and look forward to collaborating with him on many more books in the future,’ said Hughes. Affirm has also signed White for a second book. The Nowhere Child will be published in July 2018.